Amazing Las Vegas Comic Con Day One Was Pretty Great! So yeah, today was a lot of fun! I'm looking forward to the next couple of days, since there weren't any panels or anything today, but I had a lot of fun and got some really nice deals on comics. And a Doofenschmirtz sketch by Mat Nastos. 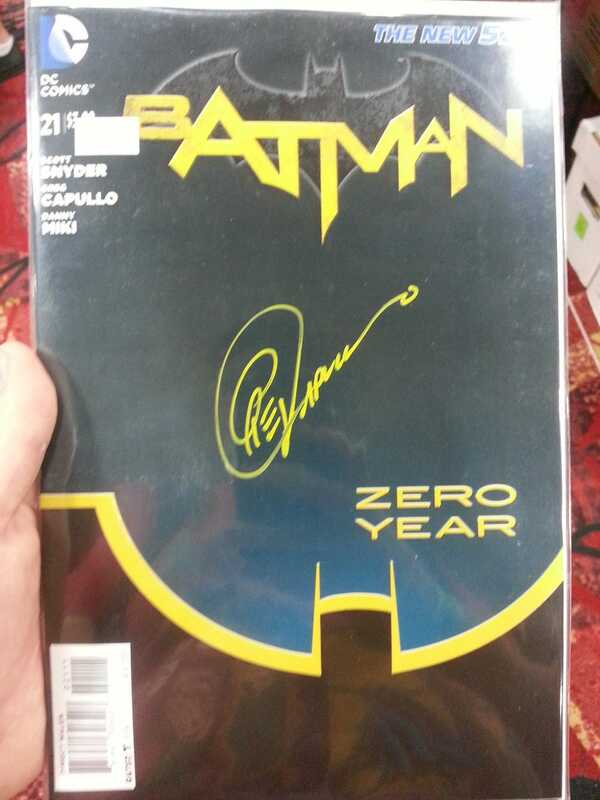 And a copy of Batman #21 (which I still haven't read...) signed.